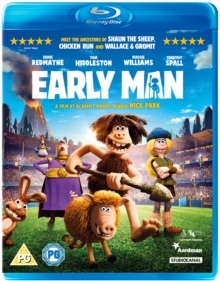 Four animated adventures featuring Nick Park's inimitable pair of plasticine heroes: cheese-loving inventor Wallace and his long-suffering dog Gromit. 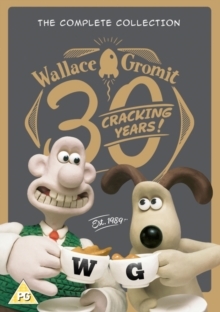 In 'A Grand Day Out' (1993), Wallace runs out of his favourite Wensleydale cheese on Boxing Day and cannot find a shop open to replenish his stock. The only solution is to get in his homemade rocket and head for the biggest block of cheese in the universe: the moon. In 'The Wrong Trousers' (1993), Wallace and Gromit encounter difficulties with the demonstration of the inventor's 'Techno Trousers' and encounter a rogue chicken. In 'A Close Shave' (1995), Wallace and Gromit set up a lucrative window cleaning business and get involved with a lady from a wool shop. 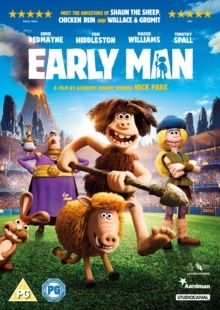 Wallace becomes infatuated with her, but Gromit becomes interested in the case of some disappearing sheep, and blames the wool-shop owner's dog. However, the devious dog frames Gromit for the disappearing sheep, and Wallace must pull himself together in time to save the reputation of his old pal. 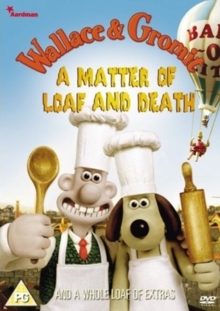 In 'A Matter of Loaf and Death' (2008), the pair have converted their home into the 'Top Bun' bakery - complete with rooftop windmill - but with 12 local bakers having gone mysteriously missing, Gromit worries that they'll soon make up the baker's dozen. Wallace, meanwhile, is oblivious to the danger, having fallen head over heels for former Bake-O-Lite bread babe, Piella Bakewell. With his master otherwise engaged, it's up to Gromit to rise to the occasion and solve the mystery before Wallace becomes the next victim of the 'cereal' killer.